Noemi Antonia is a Guide Mother working with ChildFund in Totonicapán Department, Guatemala. ChildFund International. September 11, 2017. Motherhood is an enormously profound experience for women and being a parent (male or female) brings with it huge responsibility, to provide your child with the best platform to succeed and grow in life. That is a universal reality wherever you may live on the planet. For those living in developing world however, and particularly those living in remote rural communities, motherhood means coping without the kind of services and supports that many parents take for granted. ChildFund works in impoverished communities helping to support children and their families in a host of ways, and above all, to ensure children’s basic needs are met. Sometimes this can mean educating communities on best practice in the care and nutrition of children, so as to assist in their healthy development. Early childhood development (ECD) is a huge focus of our work overseas. We build, support and run ECD centres – essentially pre-schools – where children can be cared for, receive food where they may not have any, be stimulated in learning games, and play and socialise with other children from around the local community. All of this is very important in ensuring children grow to be happy, healthy, integrated adults. People often live very remotely in these rural communities and outreaches in the form of home visits are equally important in supporting children and their families. 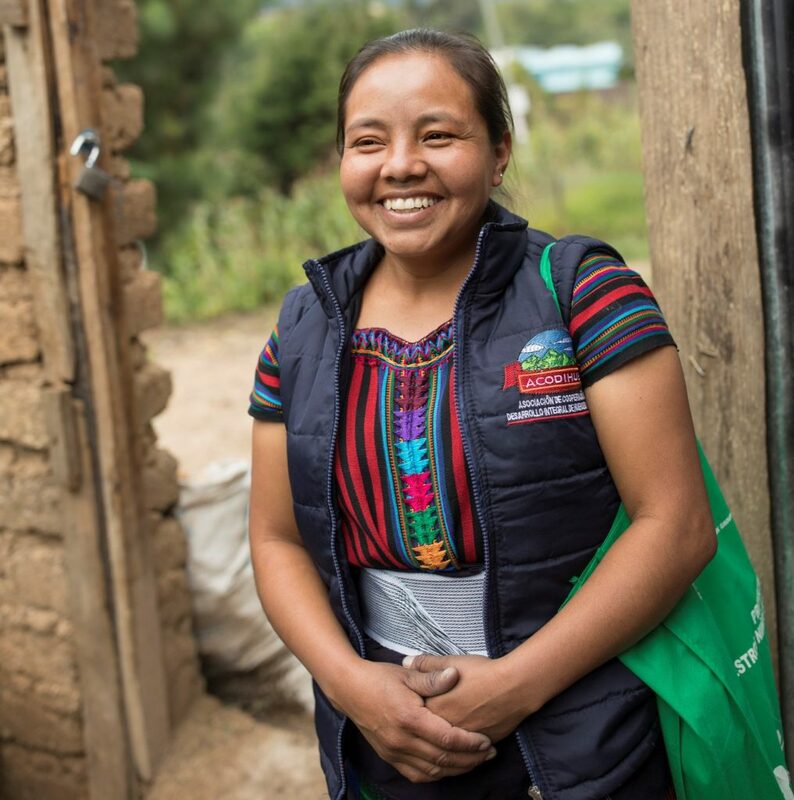 ChildFund’s ‘Guide Mothers’ like Noemi from Guatemala (above), are experienced women who visit young mothers in rural communities, helping to educate them on safe techniques to stimulate and nurture their children, to ensure their healthy development. They also help mothers to identify any potential problems with the child’s development in case specialist interventions are needed. This is a really important service for mothers may be isolated and desperately in need of guidance and support. By supporting ChildFund’s work, you are helping to ensure children’s’crucial early years of development, are prioritised and met.